“The Lost Art of Butchering,” presented by Chef Luca Annunziata of Passion 8 bistro and led by French Master Butcher Marco Pauvert of the Four Seasons Hotel in Baltimore and Michael Sullivan, sales representative for Creekstone Farms Premium Beef LLC, demonstrated to 30 noted chefs the fundamentals of butchering; focusing on the benefits of working with heritage breed animals and the fundamentals of butchering and using the whole protein, from nose to tail. 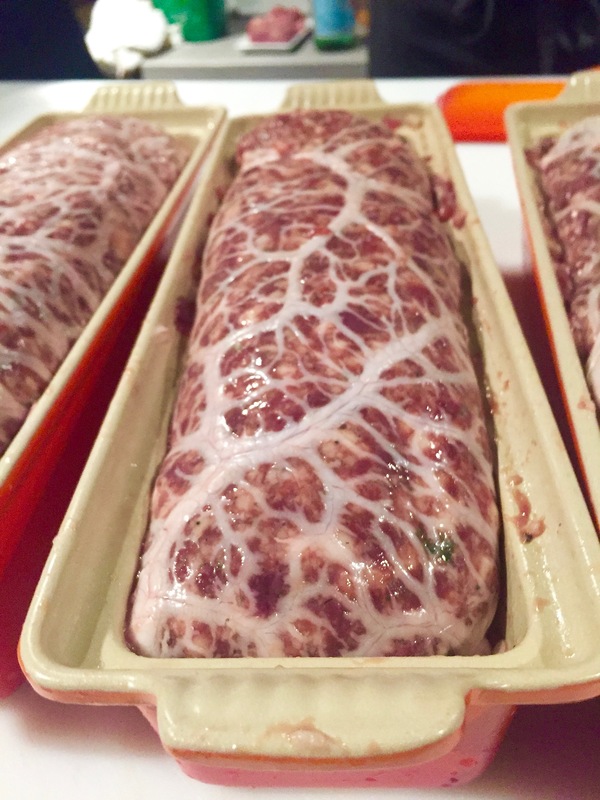 The chefs got a fresh take on utilizing the best parts of the animal, making choice cuts of the freshest meats, while discovering how to make the most of each cut both on the plate and on the bottom line. 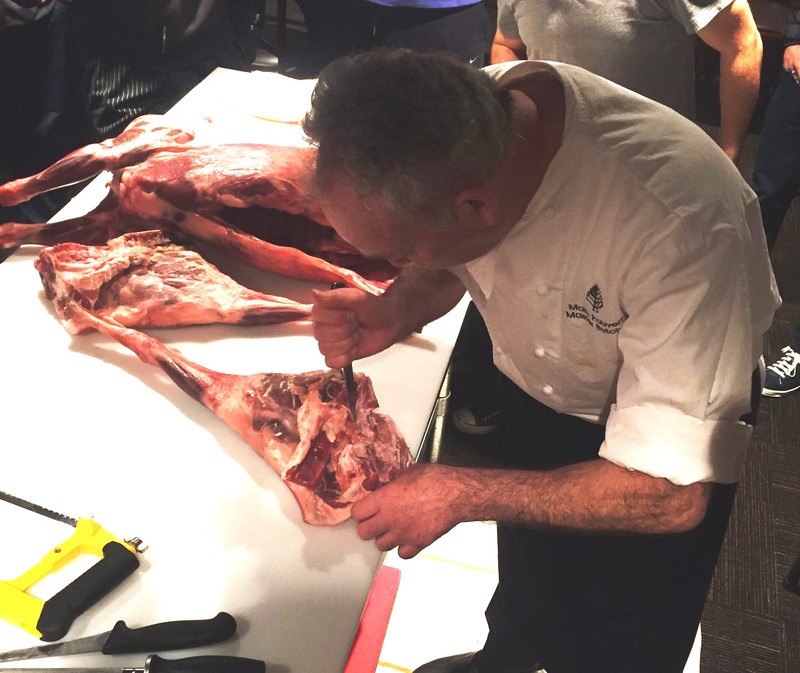 The intensive three-day workshop aimed to further extend the chef attendees’ skills, who already use fresh, quality ingredients, routinely source locally and respect the whole animal; but wish for additional perspective on practicing old school, whole-animal butchery. 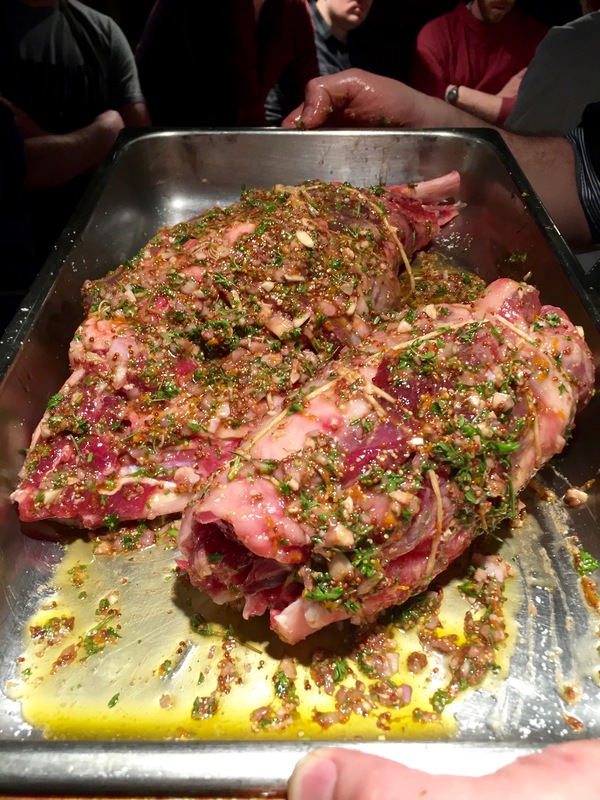 Some of the whole-animal butchering included beef, pork and poultry (including chicken and duck); whole lamb and leg of veal. The chefs then honed their crafting, seasoning and curing processes, practicing refining the art of patés and charcuterie via Paté de Campagne, boudin noir, varieties of sausage, duck galantine, confit legs, rendering duck fat, neck and wingettes confit, chicken cordon bleu, a l’escargots, veal Florentine, veal Milanese, veal roast Aosta and veal sausages. Pauvert began his apprenticeship at age 14 and became a master butcher at age 18. After a period of extensive traveling, Pauvert moved to the United States in 1986, settling in Philadelphia where he owned a succession of well-received butcher shops and gourmet shops. Butchering in France is not something that is taught in schools but as part of a long and arduous apprenticeship that culminates in a rigorous weeklong examination that begins, critically, with the selection of a live animal. 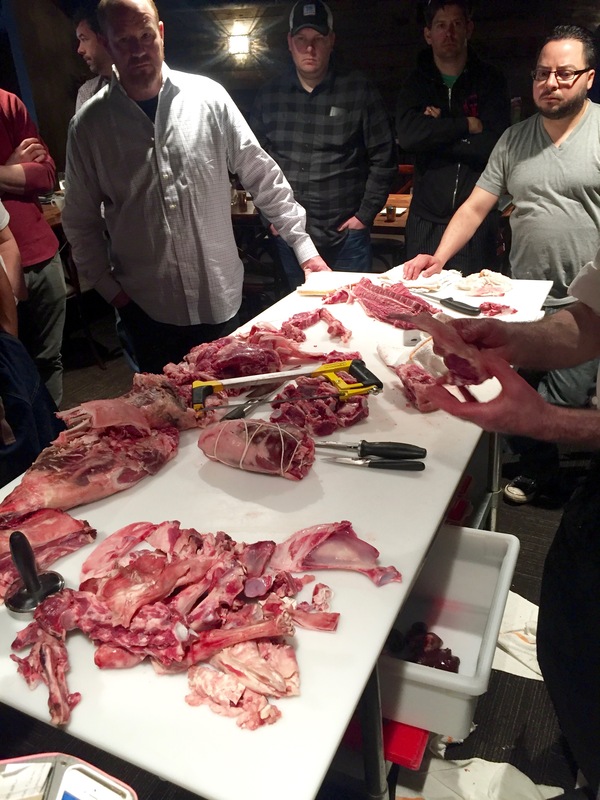 In-house butchery operations such as the one Pauvert heads up at the Four Seasons are still not the rule in the industry, where most restaurants purchase meat that has already been broken down into subprimal cuts, an intermediate step between the larger primal cuts and individual portions. But the practice of working with large cuts and even whole animals is on the increase. 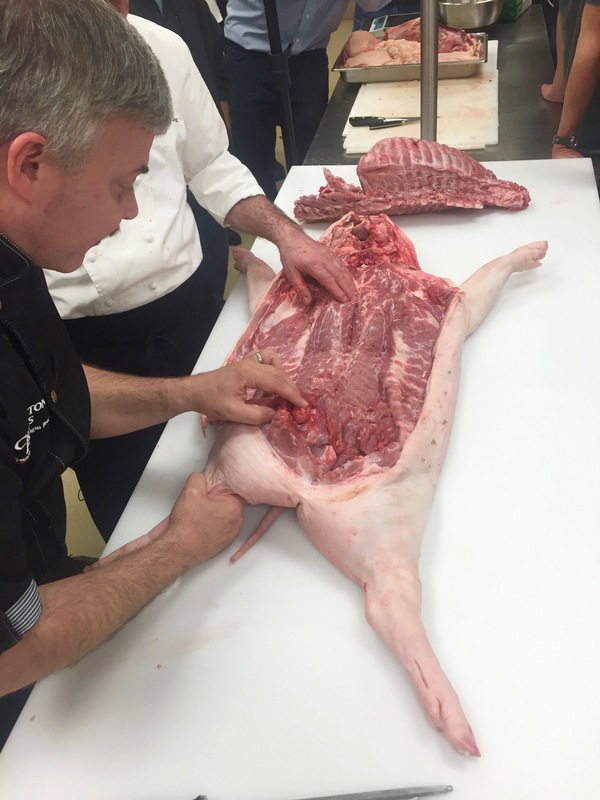 Cutting along the seams of muscles, as opposed to the widespread industry practice of cutting through them, is the hallmark of seam butchery as well as the French-style butchery that Pauvert has brought to the Four Seasons. "It's the difference between meat-cutting and butchering," said Pauvert, who speaks of French butchery as an art. Anyone who knows Sullivan knows his lifelong passion for culinary arts and charcuterie. Known to his friends as Sully or the Reverend, Michael is a graduate of Culinary Institute of America and spent time at various chef positions before landing at Blackberry Farm as Butcher and Charcutier for ten years, where he could indulge his deep-rooted love of all things cured. While at Blackberry Farm, Sullivan began working at Cochon 555 and spent 5 years on the road with the tour, working with chefs and farmers across the country. In 2015, he embarked on a new adventure as a Regional Sales Manager with Creekstone Farms Premium Beef. Like an old fashioned circuit preacher, the Reverend Sully travels spreading the gospel of Black Angus Beef and pork. At Passion 8, we love food. And food created with passion is the best way to celebrate this life. We are dedicated to creating an atmosphere that is both inviting and tranquil in which to dwell on what is really essential. Our devotion to exceptional quality from local producers is what we believe creates exquisite dishes and ultimately a better world. Our daily dinner menu offers an opportunity to consistently create dishes that are at peak freshness with a focus on showcasing the highest quality ingredients at any given time. Much of the produce we select is grown locally in keeping with our vision to emulate the great European tradition of hospitality- both on the plate and in the glass. Chef Luca Annunziata and his wife and partner Jessica have been a front runners in the Charlotte NC culinary community, helping to bring together the talent of area chefs and farmers. He is a founding member and on the board of the Piedmont Culinary Guild. Chef Luca and the team at Passion 8 are happy to collaborate with the staff at Central Piedmont Community College in presenting this workshop.